So much better than fortune. 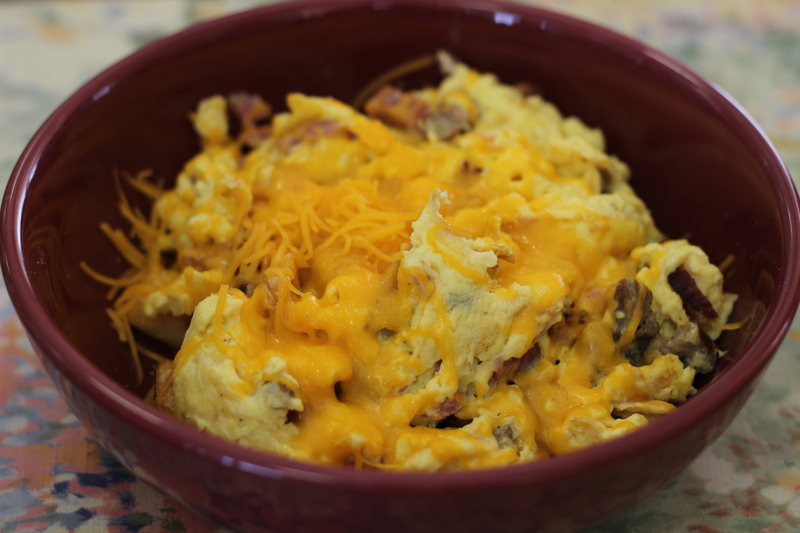 And the bowl of my choice was called Meat Lovers because it came filled with ham, bacon, sausage, scrambled eggs, cheddar and potatoes. This was a wise choice and a perfect unvegan choice because while meat is obviously awesome, potatoes, eggs and cheese go awesome with that awesome. The result was delicious, and even moreso with a touch of hot sauce added for some extra kick. 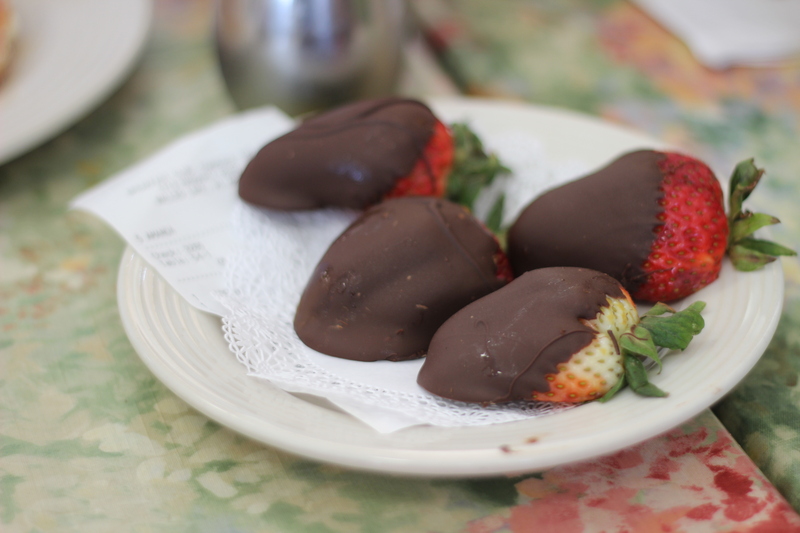 And perhaps even cooler than putting a savory spin on breakfast bowls is that The Breakfast Club sends out chocolate covered strawberries with the bill, kind of like how Chinese restaurants send out fortune cookies. It was a nice touch, and a nice finish to a pretty good breakfast stop.